As it happens, my dad is the chairman of the Sommelier Society of America. A sommelier is a wine educator — it’s that person in a good restaurant who knows anything and everything about wine. The sommelier can guide you on the best choices based on what you’ll be eating tonight. A sommelier is also, almost by definition, a wine marketer. It’s the sommelier’s job to create a fantastic experience for the customer, so that the customer buys more wine. In that sense, they’re true content marketers, using their depth of knowledge to make customers happy and to do more business. I was fortunate enough to be able to sit in on a Sommelier Society class for their certification program the other day. I took a couple of notes about wine … but a lot more about marketing. I want to share a few insights with you that came out of that class … and talk about how you can apply them to your business, even if wine is the furthest thing imaginable from what you sell. The work of a sommelier starts with building the wine list — sitting down among the universe of wines your restaurant or shop could stock … and figuring out which wines will make the cut and which ones won’t. It’s not a simple matter of “only stock good wine.” Yes, it has to be good, but there are endless definitions of that. Just as important as quality, the wine has to be the right fit — for your clientele, your neighborhood, the food you serve, the price point you’re working within. A traditional French restaurant needs a very different list from a funky Asian fusion place. A neighborhood joint needs a different list from the kind of place stockbrokers go to spend stacks of their hard-earned cash. As a marketer, your first task is to choose what you’re going to market — and to make sure that’s the perfect fit for what your customers are looking for. Maybe some day there will be an animatronic “virtual sommelier” that can develop an excellent, appropriate wine list just by plugging in a few variables. But in the world we live in now, thank goodness, the personality and passion of the sommelier are important. A sommelier whose wine list is at the intersection of her own passions and the desires of her customer is a sommelier who’s going to sell a lot of wine. And as someone who has thought deeply about (and tasted a lot of) wine, the sommelier should bring her knowledge to the table. If she can tell a great story — about the wine or the winemaker — so much the better. As a content marketer, normally you’re going to know a lot more about your topic than your customers do. Don’t be afraid to share your knowledge, your passion — even to geek out a little. That’s infectious. Our instructor told us about a wine bar whose staff have been instructed to say to a customer asking for an after-work glass of Chardonnay, “I don’t think that’s what you’re looking for today.” They don’t think customers should drink Chardonnay, so they don’t carry it. Any customer with an ounce of self respect, faced with that kind of condescension, will turn around and leave. You don’t have to serve the desires of every customer — and the truth is, you can’t. You need to shape your offers based on a well-defined picture of who the right customer is. You can educate, you can build a bridge between what they want and something they might like even better. But leave the condescension at home. It’s bad manners and bad for business. Good sommeliers know they’re not in the wine business … they’re in the entertainment business. It’s their job to create diversion and pleasure, not to inflate their own egos or intimidate customers into worrying about whether they like the “wrong” kind of wine. Californian and other “New World” wines are often drunk for their own sakes. 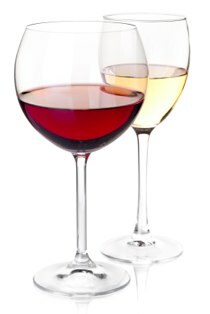 They tend to be “bigger” wines with lots of flavor (and alcohol) and not much acidity. As our instructor mentioned, connoisseurs of this type of wine may knock back some stellar bottles … then have mineral water with dinner. These big wines are often just too overwhelming to serve with food. European “Old World” wines are normally crafted to be drunk with food. They’re more acidic and less alcoholic. They often have a subtler flavor profile. One style isn’t “right” … but one can be the better choice for a given situation. Know how your customer wants to drink the bottle. Quite often, even leaving price aside, the “greater” wine isn’t the right wine for that customer’s needs. Develop as clear an understanding as you can of how your customer will consume your product or service, and make sure you’re offering something that really works for what they need. This was one of my favorite points from the class. One of the characteristics common to many “Old World” wines is the concept of terroir. Terroir is the soil the grapes are grown in, the elevation, the water source, the orientation of the vineyard to the sun … all of those highly agricultural elements that go into growing wine grapes with differing characteristics. Great European wines are very much about making the absolute best wine possible given of the terroir they come from. Over time, winemakers learn the intricacies of their own terroir. They learn the characteristics of wine that only they can make. Every business needs to understand this … the “raw ingredients” you have to work with. If you’re wise, this will become the foundation of your winning difference or unique selling proposition — the unmistakable thumbprint that distinguishes your business from everyone else’s. Note: Big thanks to the Sommelier Society of America and Darrin Siegfried for the wine education! Any dumb wine mistakes that remain are most definitely mine. I agree — that’s really a features/benefits issue. People who know wine well often talk too much about certain features (the blueberry thing) and not enough about benefits (this is going to make your cheese course taste even more amazing). Or how would you sum it up? That sounds right to me. Just keep in mind that benefits are why your customer cares, so it makes sense to focus mainly on those. But you can always switch to features if you have a customer who’s interested in those as well. Yup, benefits are always most important. But sometimes you’re looking for features. I think a lot of brands have a hard time coming to terms with this one. You don’t have to appeal to the masses in order to be successful. In fact, I’d much rather appeal to a small buy extremely loyal customer base than try to make everyone like me. This is what struck me most out of the 5 points you talked about. I really run into customers who call on me for my expert opinion on things and end up telling me what they want. I have been having a hard time dealing with this for so long because, from my view it’s like going to a doctor and telling him how to treat you. Does that sound great? Sonia, any advice on how to cope with this without being rude or ill-mannered to the customer? I’m not Sonia, but here’s how I handle that issue, Tito. Because once you give them what they need, they usually remember it in retrospect as you giving them exactly what they wanted – as long as you are polite, and as long as they feel heard. I remember watching on the TV out of random, a wine sommelier showing the customers many types if wine. One thing that stood out for me is he was one heck of an entertainer. Everybody loved him and he knew how to make them laugh. This experience for the customers was a great impression on them. I know he had it on me. I sure knew they bought a good amount of wine, such I would.. It is all about making them feel good. Really interesting approach to marketing. I agree that a lot can be learnt from wine sommeliers and one can determine the brilliance in their marketing once you begin to study their techniques and approach. Thank you for this fantastic marketing lesson. I loved the analogy. I resonated with Point #3, “It’s not your job to tell people what they want. You don’t have to serve the desires of every customer — and the truth is, you can’t. You need to shape your offers based on a well-defined picture of who the right customer is. But never tell people “what they want.”” You can’t and won’t be everything to everyone. This is why it’s important to know and understand who your target audience is along with their wants and needs. Also, it’s important to build your business on a solid foundation. Like the soil for grapes, you must weed out the gunk and muck and begin on a clean, solid foundation. If you don’t, your business will crumble faster than a house of cards. Sonia – Much of what I learned about wine was from a master sommelier. He made selecting a wine both unpretentious and fun! So, I would suggest the combination of those two qualities as #6, given that effective marketing is experiential. He too would have wholeheartedly agreed that its all about you and what you enjoy. If your palette enjoys Chardonnay with steak, he would (probably wincing) say go for it. Although, I am sure he would suggest a compromise if he felt the patron was open to it. Nice intersection of ideas here! I’d like to build one off of #3: Spark a sense of creativity within the customer. Through intriguing speech, some of the best sommeliers are able trigger wine tasters to discover specific aromas and flavours that they otherwise would never had thought of. Leaving this room for thought and creativity can also be effective for driving engagement in content marketing. For example we use social media to allow readers to speak their thoughts and engage in that matter. Wine and food. Two of my most fav-O-rite things! I loved reading your article. After months of slushing around the internet, I finally figured out my niche…I really want to write for the wine industry! Over the past few weeks, I have immersed myself in the wine industry and how it uses social media. So, you can imagine I was ecstatic to find your post on wine and marketing. Entertaining read. As someone who works in sales I’ve found that my most unexpected sales have come when I have take time to get to know my customer. I’ve also found that the more knowledgable I am about my product the easier it becomes to sell… I am seen as the expert, and they come to me to fix their problems. It had been interesting, though, to see the company I work for try to please everybody. In the end they please nobody and are stuck with their foot in their mouth. I loved this article. As a writer who does marketing for a living, I’m often trying to help my writer friends build their (dreaded) platform and brand themselves. By emphasizing finding the unique aspects of a product and speaking to the right audiences in the right way, your article made marketing seem approachable and possible. Even for creatives who are selling themselves rather than widgets. Thank you! I’ll be sharing this widely.